Dr. Arafa was born on 21st, of November 1958 in Alexandria and Graduated at Ain Shams University in Cairo (“Faculty of Medicine”). After graduation, Dr. Arafa joined his father in managing and developing industrial and commercial activities in Egypt for textile and apparel sector. Since then, such activities have gradually grown and led to the establishment of a Holding (“Arafa Holding” listed in Cairo Stock Exchange in 2004) that is, today, a prominent apparel and textile manufacturer and fashion retailer in Egypt and UK. 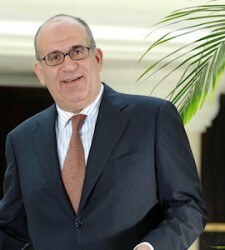 In addition to his major investments in fashion, Dr. Arafa has been actively investing in other industries including real estate, agriculture, energy, cement and food where he co-founded and was a key shareholder & Board member of Citadel Capital – the largest private equity firm in the Middle East and Africa. Also Dr. Arafa co-founded and served as a Board member of CIIC, one of the first and largest private investment banks in Egypt. In addition to serving as the Chairman of the Egyptian Center for Economic Studies, one of the most sophisticated non-profit think tanks and research Organization in Egypt. Mrs. Hala Hashem has more than 20 years of experience in Garments industry. She joined Swiss Garments Company (SGC) in 1994, held a number of positions in sales and export management before being appointed deputy General Manager in 2007.She was appointed CEO of the Apparel & Tailoring Segment in addition to that she joined the Board of Arafa Holding in 2006. Today Mrs. Hala is taking different roles on Arafa Holding affiliates including Chairperson of Formal wear segment, Chairperson&CEO position of Swiss Garments Company, Chairperson of Swiss Cotton Garments Company, CEO of Cristall for Making Shirts Company, Board Member of Group Local Retail Arm – Concrete for Ready Made Garments and Euromed for Trading & Marketing – in addition to Board member of Group UK subsidiary -Baird Group. 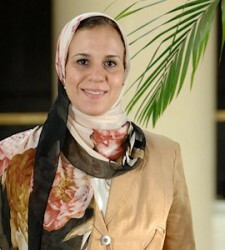 She currently serves as a member of Ready Made Garments Export Council in Egypt. Mrs.Hala has a Bachelor degree from the Faculty of Economics and & Political Science at Cairo University and an MBA from the Maastricht School of Management, the Netherlands. Ms. Maha Hashem joined Swiss Garments as a National Commercial Manager in 1998 and was appointed General Manager of Concrete in 1999, leading the turnaround and restructuring of the Company and introducing the successful children’s collection. She became CEO of the Retail Segment in 2006 and was appointed to the Board in the same year. Today she is Vice Chairman of the Luxury Wear segment and Chief Executive Officer of Concrete. Ms. Maha has a degree in Electronics & Communications from Cairo University. 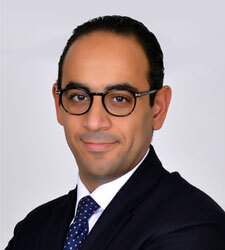 Mr. Mohamed Daoud sits on the Board of Arafa Holding. He is also Chairman and Member of the Board of Mohamed Ahmed Daoud and Partners for Trading; Mohamed Ahmed Daoud and Partners for Engineering and Industrial Investments and Mohamed Ahmed Daoud for Electrical and Mechanical Industries “Madeco.” He holds a Bachelor of Commerce degree. 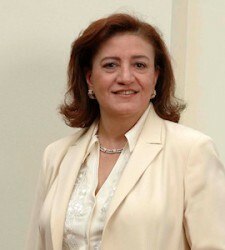 Ms. Shereen Arafa joined the Board in 1997. She is involved in some of the Company’s charitable work, such as the Arafa Charity Foundation. Ms. Shereen has a degree in Accounting from Ain Shams University. She is the daughter of Mr. Ahmed Arafa, founder of the original Arafa business. Ms. Samaa Ragab is involved in some of the Company’s charitable work, such as the Arafa Charity Foundation, and joined the Board in 1998. 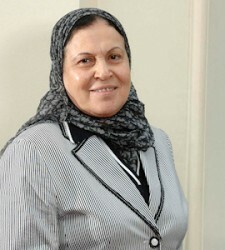 She is the mother of Dr. Alaa Arafa, Eng. Ashraf Arafa and Ms. Shereen Arafa. 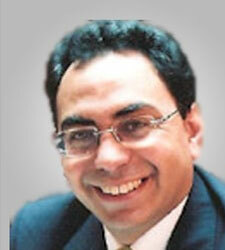 Morsy has more than 19 years of experience in the finance, banking and investment fields. He started his career in the Egyptian company for mobile services ”Mobinil” serving in building up the corporate network in the North Area and Delta, moving in 1999 to the banking industry in the corporate banking department at the Arab Bank for more than 9 years then Barclays Egypt for another 3 years during his banking career he led some key debt restructuring and acquisition finance projects in addition to some syndication finance for mega projects. Morsy joined Arafa Holding in 2010 since then he led key restructuring and investment ventures including the restructuring of the Company’s JV in Portugal and the British Subsidiary Baird Group, where he currently serves as a board member, in addition to the establishment of the JV (Camegit) with Ermenegildo Zegna in Egypt, where he serves as Vice chairman. Morsy is currently the group Chief Treasury Director and serves as a board member in different Egyptian and offshore Arafa affiliates. Morsy was born on August 5th, 1978 received his Bachelor Degree in Finance from Alexandria University and received his accredited MBA from Michigan University in 2002. Morsy also received his certified corporate lending education by Chase Manhattan Bank in 2006. Khalifa has more than 15 years of experience in the finance, investment and retail fields. He started his career in corporate banking at the Arab African International Bank moving to the investment banking field with Beltone Financial, then co-founded the Egyptian Subsidiary of the Abu Dhabi-based Investment Co “Royal Group” that manages the private investments of H.H. Sheikh Tahnoun Ben Zayed Al Nahyan where he led several international investments for the Group in the renewable energy, real estate, financial services and hospitality fields. 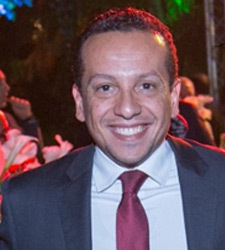 Khalifa joined Arafa Holding in 2010 as Chief Investment Officer and since then he led some key restructuring and investment ventures including the restructuring of the Company’s JV in Portugal and the British Subsidiary Baird Group, where he serves a board member, in addition to the establishment of the JV with Ermenegildo Zegna in Egypt, Camegit. 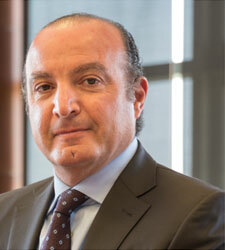 He led the major change of ownership of Gruppo Forall, owner of the Italian men’s wear fashion house Pal Zileri, In 2016 he was appointed as the CEO of Euromed the trading arm for retail and wholesale business of Arafa Holding in Egypt and also appointed in Jan 2018 as the Co-CEO of the largest men’s wear retailer in Egypt – Concrete, continuing the Brand transformation and leading the international expansions of the brand. Khalifa was born on the 2nd of August, 1982, received his Bachelor Degree in Business Administration from Cairo University, and his is a CFA charter holder. Khalifa served as a part-time instructor at the American University in Cairo for the CFA Program for 5 years. Dr. Hani Sarie El Din is a prominent legal practitioner in Egypt and the Middle East with over 30 years of experience in corporate, banking, and capital market. 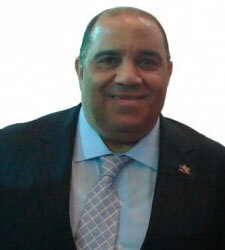 In addition to his private professional career, Dr. Sarie El Din has served in executive and non-executive public positions including, Chairman of Capital Market Authority, Board Member of the Central Bank of Egypt, General Authority for Investment, and the first official US-Egyptian Fund to promote investment in Egypt. Dr. Sarie El Din holds a Ph.D. in International Business Law from Queen Mary and Westfield College, University of London. Eng. Berzi has more than 32 years of experience in the food and beverage industry, having started his career in 1986 by joining Tasty Foods Egypt, his family’s snack food business. Eng. 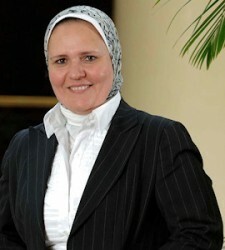 Berzi subsequently held the position of Sales and Marketing Vice President at Tasty Foods Egypt after a sale of a part of its shares to PepsiCo, from 1990 to 1992. Eng. Berzi became a member of the Board of Edita Food Industries in 1996 and became the Managing Director and Chairman of the Board in 2006. Eng. Berzi is also a member of the Board of the Chamber of Food Industries and the Egyptian Centre for Economic Studies, and is the Chairman of the Egyptian-Greek Business Council (Egyptian side), and is the Chairman of the Food Export Council. Previously, he was a member of the Boards of a number of companies in the food and beverage industry including Technopack in 1987, Rotopak in 1989 and Egypt Sack in 1997, and has also served as a Board Member of the Federation of Egyptian Industries. He graduated from Ain Shams University (Cairo, Egypt) with a BSc in Computer and Control Engineering.